Senate Bill 399: Rehire High-Need Teachers. Status: Re-ref to Education/Higher Education. If fav, re-ref to Pensions and Retirement and Aging. 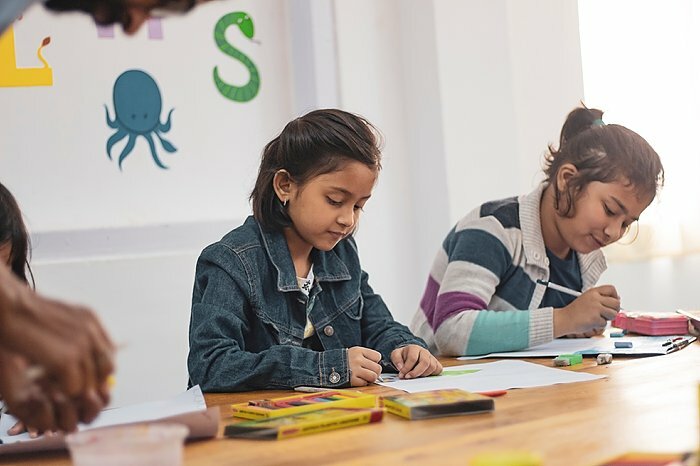 Summary: Senate Bill 399 aims to address teacher shortages in high needs schools across the state by allowing retired teachers to reenter the classroom without adversely impacting their retiree benefits. This law would apply to teachers who have retired on or before February 1. 2019 and were 1) at least 65 years old with five years of creditable experience, 2) 60 years of age with 25 years of service or 3) obtained 30 years of creditable service. These teachers would be able to re-employed by a district to teach at a high needs school, that is, a school with Title 1 designation or that has received an overall school performance grade of D or F. These teachers would be hired for no more than one school year and would be paid on the first step of the teacher salary schedule ($35,000/year) except for those going into STEM or special education classrooms, who would be paid on the sixth step of the salary schedule ($40,000/year). Regardless of their time spent in the classroom post-retirement, high needs teachers would not be eligible for salary supplements or pay increases. This bill, importantly, would allow teachers with extensive classroom experience to fill positions in hard-to-staff subjects in schools with the most need without losing their pensions. Summary: In the wake of 2016 legislation that transferred a substantial amount of power over North Carolina’s system of public schools away from the State Board of Education to State Superintendent Mark Johnson, HB 639 would transfer even more power to the Superintendent by enabling him to shift legal support away from the State Board of Education. This bill enables the Superintendent to establish his own general counsel division within DPI that would manage the entirety of legal affairs of the Department and provide legal services on an as-needed basis to support the operations of the State Board. The bill also eliminates two positions that currently support the State Board of Education: the Legislative and Community Affairs Director, a position currently held by Cecilia Holden; and the State Board’s staff attorney position, currently held by Eric Snider. In place of these two positions, the superintendent would appoint a full-time Rules Coordinator who would be responsible for overseeing the administrative rulemaking process for the State Board and DPI. House Bill 642: Additional Funds/UNC Lab Schools. Summary: HB 642 would give lab schools an additional $500,000 in recurring operational funds for the 2019-2020 fiscal year. Lab schools share similarities with charter schools but are operated by state universities’ schools of education. Created by the General Assembly in 2016, lab schools were intended to allow educator preparation programs the opportunity to experiment with innovative teaching methods while simultaneously serving high-needs populations; however, they were also controversial in part because of widespread concern that there was not adequate time and resources appropriated to get them off the ground successfully. 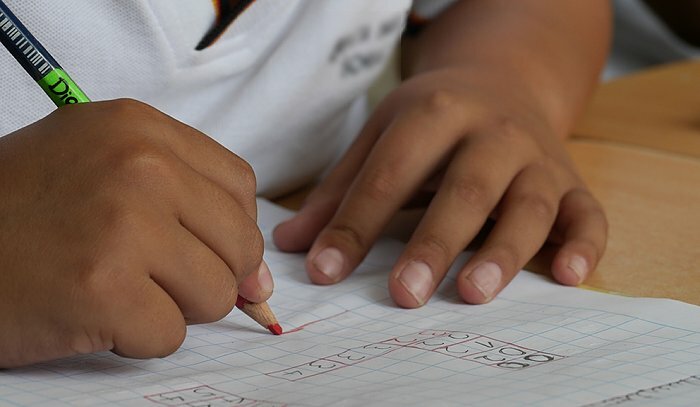 Lab schools were intended to improve the academic outcomes of high needs students by giving priority for enrollment to children assigned to “low-performing schools” or schools that did not meet expected academic growth. In addition to new funds appropriated, this bill would also expand access to children of university employees and would allow up to 20% of seats to be filled by other students who live in the district but do not meet the enrollment requirements if the school has not reached capacity by June 1. House Bill 199: Permanent Charter School Transportation Grant. Summary: House Bill 199 would appropriate $2.5 million in recurring funds to a permanent Charter School Transportation Grant program. The program would award grant funds to charter schools that have identified 50% of their student population receiving free or reduced lunch to reimburse them for up to 65% of eligible student transportation costs incurred by the school. Costs that are eligible for reimbursement include transportation fuel, vehicle maintenance, contracted transportation services, and transportation personnel services. Proponents of the bill say it addresses equity concerns because it provides transportation to charter schools, which, unlike traditional public schools, are not currently obligated to provide this for students. However, this bill only targets charter schools in which more than 50% of students live in low-income households, which would limit the extent to which charters, which are more segregated by race and class than traditional public schools, would become more inclusive and integrated. In particular, the growing number of exclusive, well-resourced charters that serve predominantly white and affluent students would be no more accessible to students living in poverty under this bill. House Bill 276: Modify Low-Performing School Definition. Schools that receive a school performance grade of D or F and a school growth score of “no met expected growth”. However, schools that fit the previous definition of a low-performing school would still be able to request the adoption of a reform model if they met the previous definition for at least two to three consecutive years. House Bill 734: NC Collaborative School Improvement Pilot. 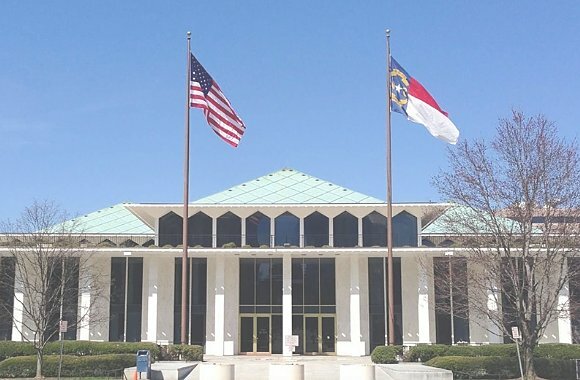 Summary: House Bill 734 would establish the North Carolina Collaborative School Improvement Pilot Program headed by the Department of Public Instruction. It would be a three-year pilot program and utilize school turnaround experts in a pay-for-performance model to provide direct and sustainable support for 10 low-performing schools. 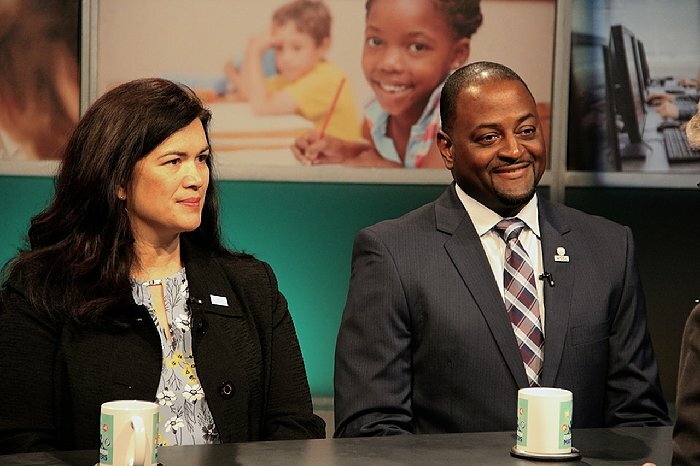 In order to obtain school turnaround experts, the bill will also establish a School Turnaround Committee, comprised of relevant stakeholders, that will partner with the local board of education in the selection of the experts and the completion of a school turnaround plan that will be submitted to DPI for approval. If DPI does not approve the plan then the local board of education can appeal that decision based on the rules established by the State Board of Education. The State Board will also be responsible for holding pilot schools accountable for meeting standards set by DPI. DPI will also be reporting on the pilot program to the Joint Legislative Education Oversight Committee. 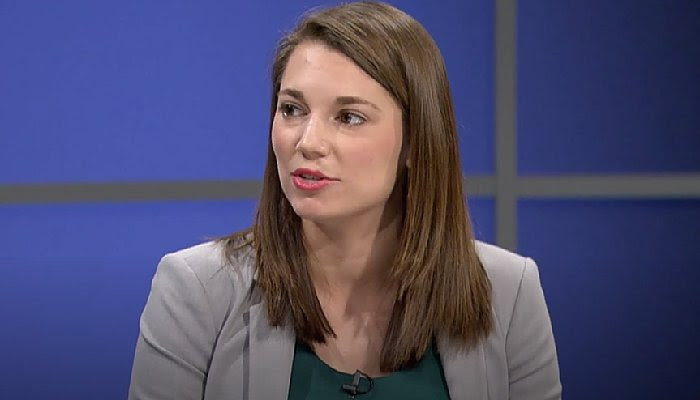 Elizabeth DeKonty, Director of our NC Resilience & Learning Project, appeared last week on a television program hosted by Anita Brown-Graham of the UNC School of Government called ncIMPACT, which airs on UNC-TV. Last week’s topic was Adverse Childhood Experiences, and Elizabeth appeared alongside Sharon Hirsch, President and CEO of Prevent Child Abuse NC and NC DHHS Chief Medical Officer and State Health Director Dr. Betsey Tilson to discuss how the NC Resilience and Learning Project works in communities across North Carolina to create trauma-sensitive schools. Watch ncIMPACT’s Adverse Childhood Experiences episode online by clicking here. The Resilience Reader is a new monthly newsletter for anyone nterested in issues such as Adverse Childhood Experiences (ACEs), childhood trauma, resilience and the power of trauma-informed schools and communities. Sign up for our monthly Resilience Reader to stay connected and informed. To request a ticket, fill out the form here. We will notify those selected on Thursday, May 16, 2019. Please note that filling out the request form does not guarantee you will receive a ticket. Please contact Irene Mone at 919-781-6833 ext. 102 or [email protected] with any questions. The front of Evergreen Elementary School, built in 1924. Photo Credit: Wilson Sayre, WUNC. 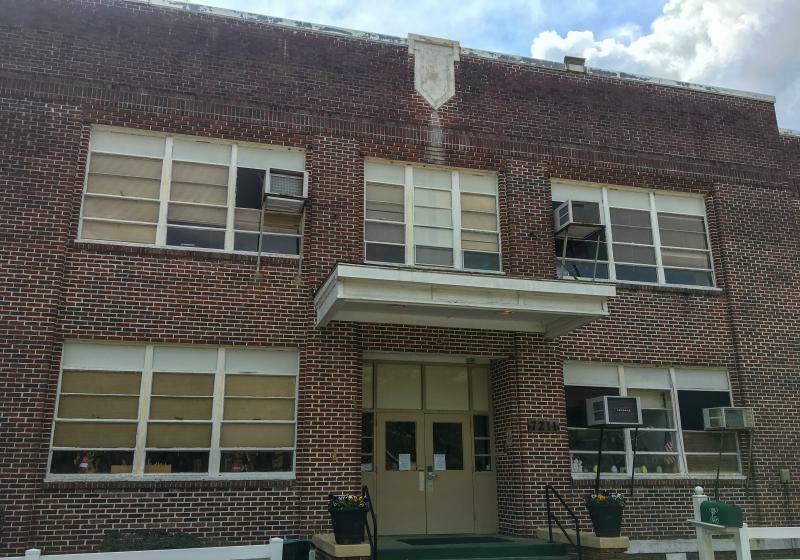 Evergreen Elementary School in Columbus County is clean, tidy, and nearly 100 years old. Light comes in through parts of the roof in the gym where the dark brown floor boards have buckled up in little swollen hills two inches tall. Classrooms inside the main building are small based on today’s standards, the auditorium is not compliant with the Americans with Disabilities Act and technology is an afterthought. North Carolina schools, including places like Evergreen Elementary, are in need of roughly $8 billion worth of renovation and construction, according to the latest state facilities survey. And there does seems to be bipartisan agreement in the General Assembly that the state should contribute to some of those repairs. House Speaker Tim Moore’s version of that push, HB 241, would prioritize low-wealth counties in the allocation of funds. Sayre, W. “For Rural Schools, Extra Money Could Help Keep The Roof On.” WUNC. 4/5/19. On Wednesday May 16, 2018, the opening day of the legislative session, educators and their supporters from across the state traveled to Raleigh to demand more funding for public education. Photo Credit: Julia Wall, The News & Observer. Hui, K. “Advocating for ‘our children’ or a ‘Marxist’ event? NC’s upcoming teacher protest draws debate.” The News & Observer. 4/11/19. 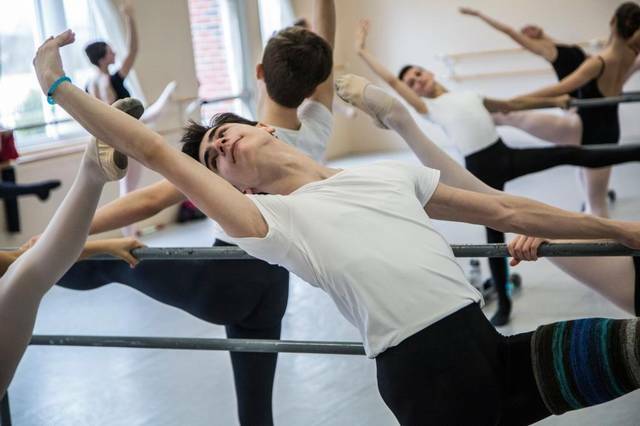 Clark Eselgroth dances in an advanced program at the International Ballet Academy in Cary when most others his age are in classrooms or science labs. Eselgroth, a 14-year-old freshman, moved from Asheville to Cary two years ago and was soon confronted with the question of how to balance school with the hours of daily work required to realize his goal of becoming a professional dancer. Photo Credit: Travis Long, The News & Observer. A state advisory board is refusing to take sides in an ugly fight between leaders of a North Carolina virtual charter school and the for-profit company that’s paid millions of dollars a year to educate its 2,400 students. N.C. 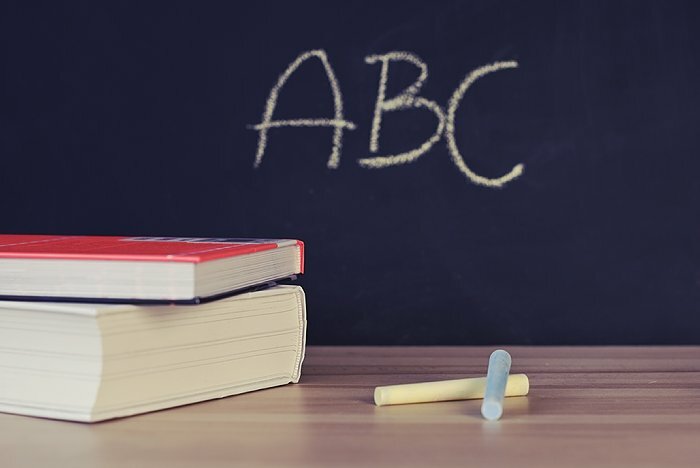 Connections Academy wants state permission to no longer be managed by Pearson Online and Blended Learning, part of the international company Pearson that publishes textbooks and sells a wide range of education products. Hui, K. “In ‘ugly’ fight between a charter school and its operator, state board won’t take sides.” The News & Observer. 4/8/19. Charter schools were conceived as laboratories of educational innovation, but increasingly they are becoming laboratories for financial inventions. Among the creations are for-profit school chains with complex ownership arrangements that make it hard for the public to see where its tax dollars go and how much is going into profits rather than education. North Carolina’s charter school program has grown increasingly ripe for financial exploitation since Republican lawmakers lifted the state’s 100-school charter cap. North Carolina now has 184 charter schools with 15 more approved to open this fall. According to the Public School Forum, a group that supports traditional public schools, 20% of North Carolina’s charter schools are operated by for-profit companies, most of them based outside of the state. N & O Editorial Board. “NC should be wary of Arizona charter operator” The News & Observer. 4/10/19. Photo Credit: Pragyan Bezbaruah, Pexels. Edgecombe County Public Schools is preparing to ask for a raise from Edgecombe County commissioners to meet the growing needs of students in the school district. The school board approved a $72,542,724 budget for the 2019-20 fiscal year at Monday night’s school board meeting. The spending plna includes a request of $8,411,905 in operating funds from Edgecombe County commissioners— a $960,287 increase in the amount of local funding given to the school district for current operating expenses during the current fiscal year. Harper, A. “Edgecombe schools seek more money.” Rocky Mount Telegram. 4/10/19. From left, Melodie Bryant from Shallotte, Carol Cosetti from Clayton and Sandra Thornton from Willow Spring cheer on the speakers during the Rally for Respect at Bicentennial Plaza in Raleigh, N.C., Wednesday, May 16, 2018. Photo Credit: Ethan Hyman, The News & Observer. Price, M. “CMS cancels classes for May 1 because of planned teacher protest in Raleigh.” The Charlotte Observer. 4/11/19. Wishing to recognize the significant impact that so many educators have made in the lives of students, the UNC Greensboro School of Education will honor its first class of 48 Inspirational Educators on Sunday, April 14, 2019. Modeled after East Carolina University’s (ECU’s) Educators Hall of Fame, the Inspirational Educators program is designed to elevate the profession of education by honoring educators who have made a difference in the lives of others. The educators receiving this honor this year include educators in a variety of roles who were nominated by their colleagues, family, friends, and former students honoring their service, their impact on this world, and most importantly, how they have inspired their own love of education. Nominations are secured with a $1,000 gift to the School of Education, which funds Student Excellence Awards for UNC Greensboro School of Education students. 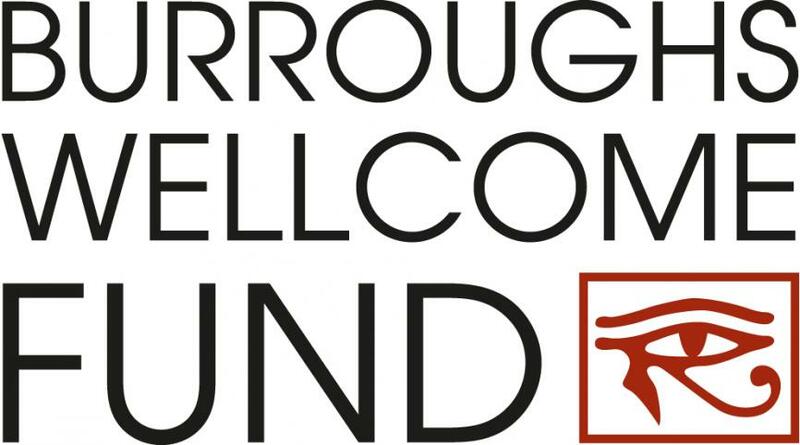 WHEN: Sunday, April 14, 2019 at 2:00 p.m.
To learn more about this event click, here. 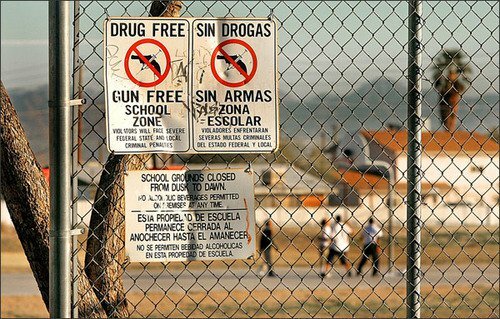 Drug and gun-free school zone signs in Phoenix, Ariz. Photo Credit: Matt York, AP-File. Blad, E. “As States Debate Arming Teachers, Opponents Detail Mishandling of Guns in Schools.” Education Week. 4/5/19. Hawley Miles, K and Travers, J. “The Promise and Peril of ESSA School Spending Transparency.” Future Ed. 4/9/19. Watson College is hosting its second “Making Innovation a Priority in NC Schools” conference at UNCW, May 13th. 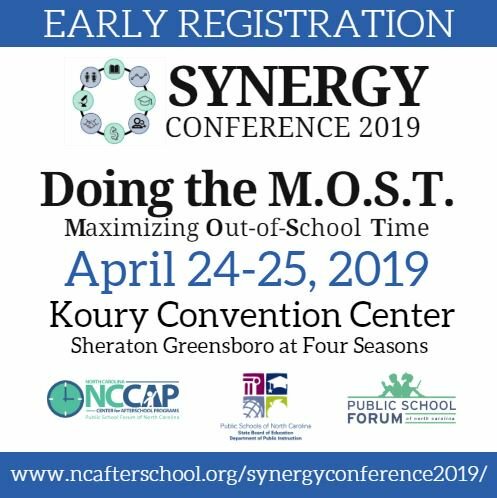 The goals of the conference are to: highlight innovative programs and practices across the state; build support for an infrastructure for innovation; and provide attendees with an opportunity to engage in innovative/design thinking. For more information about the conference go to the conference website here. Registration is FREE. We ask all attendees to register by May 1st.